No other event had a greater impact on Alma’s life than the transformative three days he spent racked with torment after being rebuked by an angel. 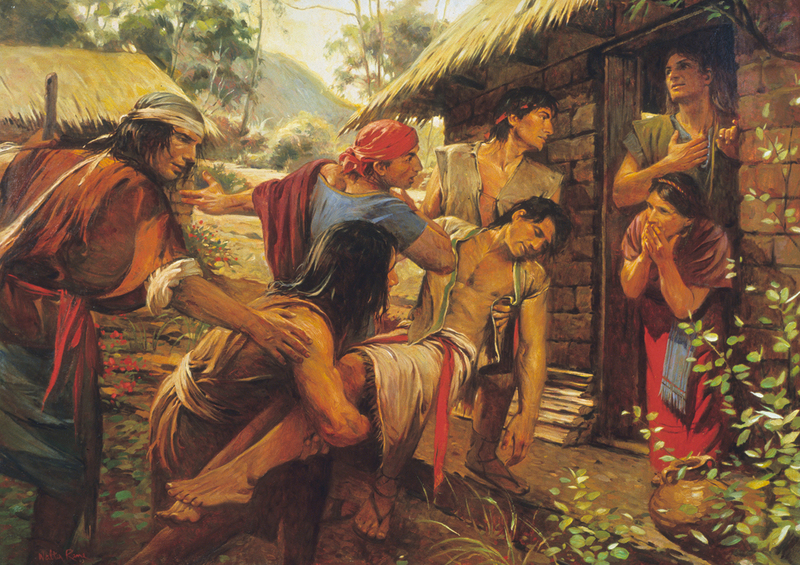 The themes of that experience permeate his sermons, and at least three different accounts of it survive in the Book of Mormon (Mosiah 27; Alma 36, 38). Detailed comparison of these accounts strongly suggests that all three are, in significant part, first person accounts from Alma himself. Of these accounts, Alma 36 stands out as the most complete and well-composed. John W. Welch noted, “The abrupt antithetical parallelisms” of Alma’s original words in Mosiah 27:29–30, “have been rearranged into one masterfully crafted chiastic composition in Alma 36.” This repurposing of the spontaneous phrases spoken by the young Alma as he retold the story of his conversion to his son Helaman a number of years later offers strong evidence that the structure of Alma 36 was deliberate and purposeful. Welch, who discovered chiasmus in the Book of Mormon as a missionary in Germany in 1967, first published the chiastic structure of Alma 36 in 1969 (see chart). Since that time, the structure of Alma 36 has received continued attention and analysis, detailing not only the overall chiasm, but also laying out several substructures. Of interpretive importance, careful observers have found that the climax of a strong chiastic structure is usually found at its midpoint. As Nils Lund set forth, “The centre is always the turning point. . . . At the centre there is often a change in the trend of thought, and an antithetic idea is introduced, [which is a] shift at the centre. . . . Thus, the climax is at the centre, not at the end, where we should expect it.” This feature of a deliberately composed chiasm, clearly present in Alma 36, helps readers to discern the the key point of the whole passage. Producing a well written, elegant chiasm is challanging and difficult. According Welch, “If an author uses chiasmus mechanically, it can produce rigid, stilted writing (a poor result from an author misusing or poorly implementing any artistic device).” This is not the case with Alma 36, which smoothly transitions from one point to the next until reaching its climatic center point and then effortlessly unwinding down the same path. Alma … does not simply stick a list of ideas together in one order and then awkwardly and slavishly retrace his steps through that list in the opposite order. His work has the markings of a skillful, painstaking writer, one completely comfortable with using this difficult mode of expression well. The structure of the chapter powerfully communicates Alma’s personal experience, for the central turning point of his conversion came precisely when he called upon the name of Jesus Christ and asked for mercy. Nothing was more important than this in Alma’s conversion—neither the appearance of the angel, nor the prayers of his father and the priests. Just as this was the turning point of Alma’s life, he makes it the center of this magnificent composition. From that turning point, the chiastic pattern takes on what Noel B. Reynolds termed a “reverse polarity between the parallel units of text.” While once “harrowed up by the memory of [his] many sins” (Alma 36:17), he was “harrowed up by the memory of [his] sins no more” (v. 19). Where once there was “the pains of a damned soul” (v. 16), there now a “soul … filled with joy as exceeding as was [the] pain!” (v. 20). This text ranks as one of the best uses of chiasmus one can imagine. It merits high acclaim and recognition. Despite its complexity, the meaning of the chapter is both simple and profound. Alma’s words are both inspired and inspiring, religious and literary, historical and timeless, clear yet complex—a text that deserves to be pondered for years to come. Alma’s experience is strikingly similar to the ordeals that Mesoamerican ritual specialists undergo in order to become healers and religious leaders. See Mark Alan Wright, “‘According to Their Language, unto Their Understanding’: The Cultural Context of Hierophanies and Theophanies in Latter-day Saint Canon,” Studies in the Bible and Antiquity 3 (2011): 58–64; Mark Alan Wright, “Nephite Daykeepers: Ritual Specialists in Mesoamerica and the Book of Mormon,” in Ancient Temple Worship: Proceedings of the Expound Symposium, 14 May 2011, ed. Matthew B. Brown, Jeffrey M. Bradshaw, Stephen D. Ricks, and John S. Thompson (Salt Lake City and Orem, UT: Eborn Books and Interpreter Foundation, 2014), 247–252. S. Kent Brown, “Alma’s Conversion: Reminiscences in His Sermons,” in The Book of Mormon: Alma, The Testimony of the Word, ed. Monte S. Nyman and Charles D. Tate Jr. (Provo, UT: Religious Studies Center, Brigham Young University, 1992), 141–156; reprinted in S. Kent Brown, From Jerusalem to Zarahemla: Literary and Historical Studies of the Book of Mormon (Provo, UT: Religious Studies Center, Brigham Young University, 1998), 113–127. Also see Grant Hardy, Understanding the Book of Mormon: A Reader’s Guide (New York, NY: Oxford University Press, 2010), 134–137. John W. Welch, “Three Accounts of Alma’s Conversion,” in Reexploring the Book of Mormon: A Decade of New Research, ed. John W. Welch (Salt Lake City and Provo, UT: Deseret Book and FARMS, 1992), 150–153; John W. Welch and J. Gregory Welch, Charting the Book of Mormon: Visual Aids for Personal Study and Teaching (Provo, UT: FARMS, 199), charts 106–107. Welch, “Three Accounts of Alma’s Conversion,” 152. See John W. Welch, “The Discovery of Chiasmus in the Book of Mormon: Forty Years Later,” Journal of Book of Mormon Studies 16, no. 2 (2007): 74–87, 99; John W. Welch, “Forty-Five Years of Chiasmus Conversations: Correspondence, Criteria, and Creativity,” presentation given at the 2012 FAIR Conference; J. Gregory Welch, “The Amazing True Story of How Chiasmus was Discovered in the Book of Mormon,” online video, September 1, 2015, online at bookofmormoncentral.org. John W. Welch, “Chiasmus in the Book of Mormon,” BYU Studies 10, no. 3 (1969): 69–83. Also see John W. Welch, “Chiasmus in the Book of Mormon,” in Book of Mormon Authorship: New Light on Ancient Origins, ed. Noel B. Reynolds (Provo, UT: Religious Studies Center, Brigham Young University, 1982; reprint, FARMS, 1996), 33–52; John W. Welch, “Chiasmus in the Book of Mormon,” in Chiasmus in Antiquity: Structures, Analysis, Exegesis, ed. John W. Welch (Provo, UT: Research Press, 1999), 198–210. Chart taken from Welch and Welch, Charting the Book of Mormon, 132. See John W. Welch, “Chiasmus in Alma 36,” FARMS Preliminary Report (1989); John W. Welch, “A Masterpiece: Alma 36,” in Rediscovering the Book of Mormon: Insights You May Have Missed Before, ed. John L. Sorenson and Melvin J. Thorne (Salt Lake City and Provo, UT: Deseret Book and FARMS, 1991), 114–131; Grant Hardy, Understanding the Book of Mormon: A Reader’s Guide (New York, NY: Oxford University Press, 2010), 137–142; Noel B. Reynolds, “Rethinking Alma 36,” unpublished paper in our possession. The full structure of Alma 36 is also laid out in Donald W. Parry, ed., Poetic Parallelisms in the Book of Mormon: The Complete Text Reformatted (Provo, UT: Neal A. Maxwell Institute for Religious Scholarship, 2007), 318–321. Nils Wilhelm Lund, Chiasmus in the New Testament (Chapel Hill, NC: University of North Carolina Press, 1942), 40–41, 46. See Earl M. Wunderli, “Criteria of Alma 36 as an Extended Chiasm,” Dialogue: A Journal of Mormon Thought 38, no. 4 (2005): 97–112; Brant A. Gardner, Second Witness: Analytical and Contextual Commentary on the Book of Mormon, 6 vols. (Salt Lake City, UT: Greg Kofford Books, 2007), 4:495–497. Joseph M. Spencer, An Other Testament: On Typology, 2nd edition (Provo, UT: Neal A. Maxwell Institute for Religious Scholarship, 2016), 1–32 argues that while “the text appears to be structured as a chiastically framed narrative” (p. 4), only the beginning and end (vv. 1–5, 26–30) are chiastic, while the core (vv. 13–22) is guided by an entirely different structure. For a criteria evaluation, see Welch, “A Masterpiece,” 129–130; Welch, “Chiasmus in Alma 36,” 26–35. For an explanation of criteria for judging a chiasm, see John W. Welch, “Criteria for Identifying and Evaluating the Presence of Chiasmus,” Journal of Book of Mormon Studies 4, no. 2 (1995): 1–14. Also see the “Criteria Chart,” at Chiasmus Resources, online at https://chiasmusresources.johnwwelchresources.com/criteria-chart (accessed June 22, 2016). For statistical evaluation, see Boyd F. Edwards and Farrell W. Edwards, “Does Chiasmus Appear in the Book of Mormon by Chance?,” BYU Studies 43, no. 2 (2004): 103–130; Boyd F. Edwards and Farrell W. Edwards, “Response to Earl Wunderli’s ‘Critique of Alma 36 as an Extended Chiasm’,” Dialogue: A Journal of Mormon Thought 39, no. 3 (2006): 164–169. Welch, “A Masterpiece,” 127–128; Welch, “Chiasmus in Alma 36,” 24–25. Hardy, Understanding the Book of Mormon, 140. Hardy, Understanding the Book of Mormon, 140–141. 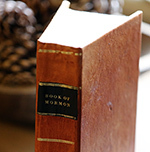 See Book of Mormon Central, “Why Did the Angel Speak to Alma with a Voice of Thunder? (Mosiah 27:11),” KnoWhy 105 (May 23, 2015). Reynolds, “Rethinking Alma 36,” 6. In a similar way, another classic conversion story that has enjoyed very wide appeal is that of Jonah, who resisted the Lord’s call for him serve as a messenger of the gospel of repentance to the city of Nineveh. As has been recently observed, “the chiastic structure of the book of Jonah suggests that it was intentionally composed to center on Jonah’s exclamation of salvation (2:4–6), the physical midpoint as well as spiritual crux of this text.” See David Randall Scott, “The Book of Jonah: Foreshadowings of Jesus as the Christ,” BYU Studies Quarterly 53, no. 3 (2014): 173–174. As quoted in John W. Welch, “What Does Chiasmus in the Book of Mormon Prove?” in Book of Mormon Authorship Revisited: The Evidence for Ancient Origins, ed. Noel B. Reynolds (Provo, UT: FARMS, 1997), 206.